The first rays of the sun woke us at 5:30AM. Early morning finds the high desert at its best, the colors are sharper, the birds are out in abundance and it’s not so hot. We drove north through Sedona, past fantastical red rock formations and people already out to catch the sunrise. 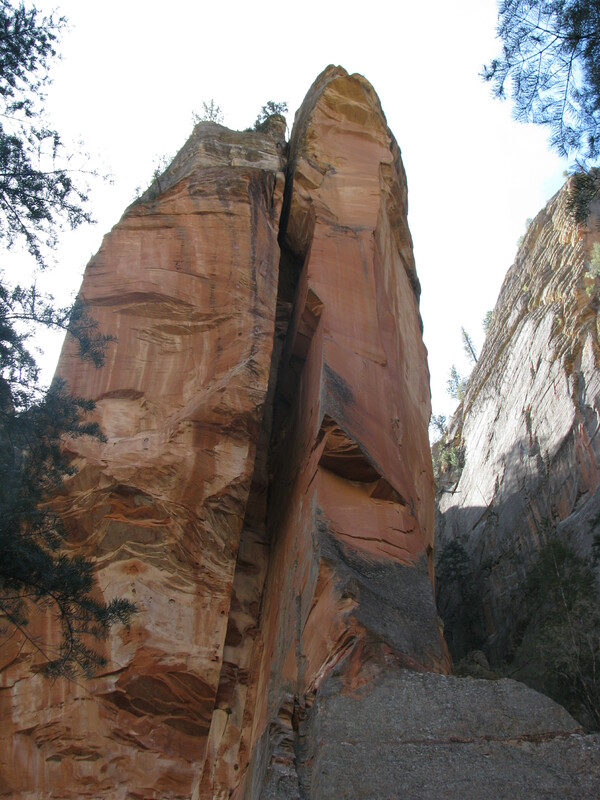 Sedona appears to be a larger version of Glitter Gulch, even with structures in conformance with the surrounding environment. We were early and traffic was light, a quick drive through compared to the afternoon return trip. 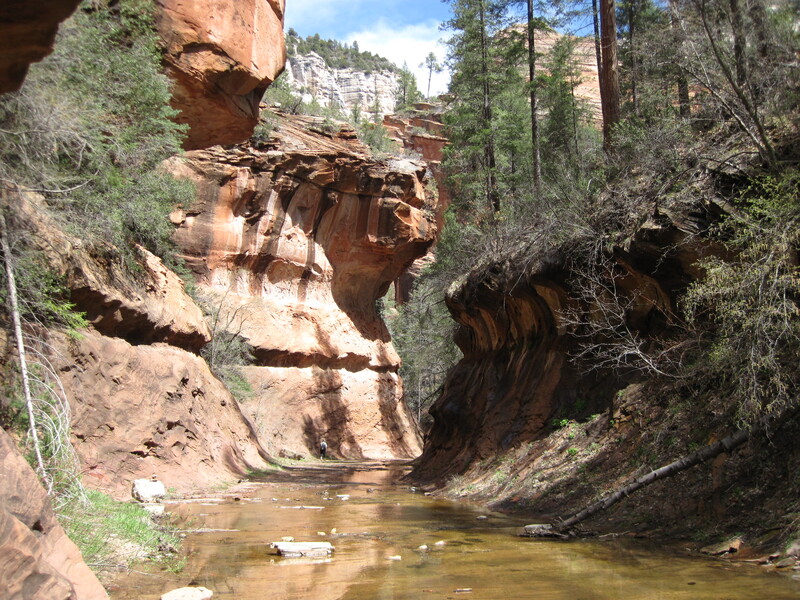 Ten miles out, is Oak Creek Canyon Park, where we hiked the West Fork Oak Creek Canyon Trail. The start of the trail led through an old homestead and orchard of maybe blooming apple and cherry trees. Up the West Fork past high canyon walls, numerous stepping stone creek crossings , oodles of caddis fly larvae and fields of violets. 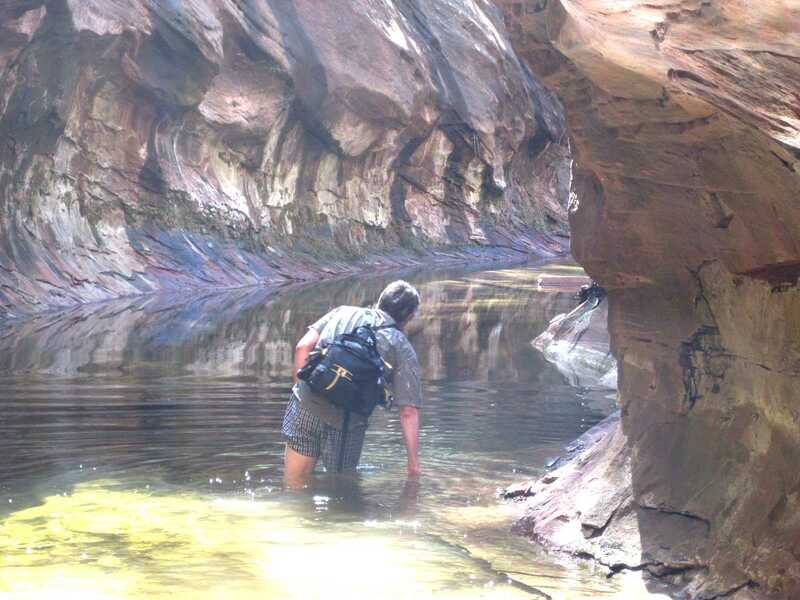 At the of the main trail, we took off shoes and waded around a bend to find deeper water. It looked so intriguing, off went the britches to slosh through 50 feet of almost cajone deep numbing cold water, finding it worth the effort, the next mile was captivating. We startled a deer and a heron, ate lunch in on sun warmed rocks, warming up our cold, cold feet and nursing our lower extremities that had been attacked by a nasty spiky plant, the main objective of the plant to leave thorns embedded in the skin. Returning, we put on our pants until the deep hole. 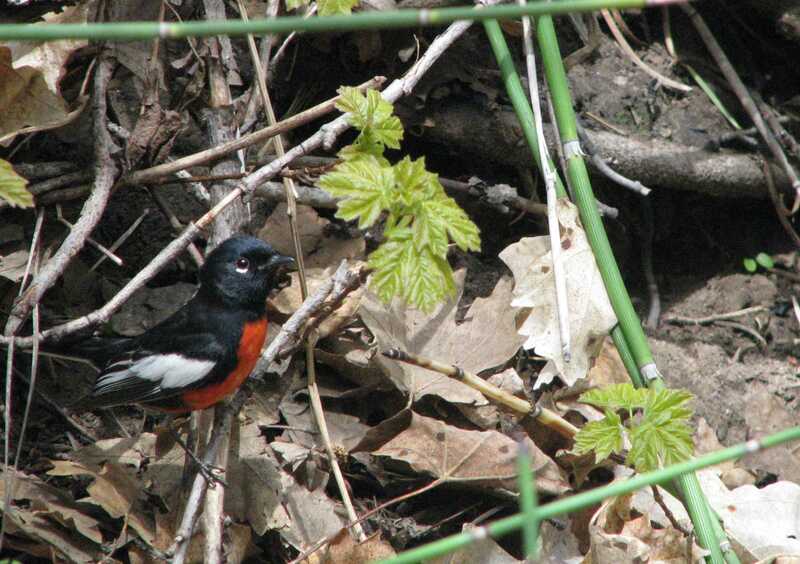 We met a fair amount of mostly gray haired hikers on our way back; people start late, and a painted redstart building a nest near the ground right beside the trail! The muscles and joints said we had done our fair share for the day. Where’s the hot tub? Driving back, we took a right at the Sedona “Y” traveling to Old Cottonwood for those delicious malts, a stop at “Top Shelf Liquors” to view the myriad of tequilas, a stop at “The Cowboy Store” to try on boots, some fit well, but none really popped for us, so home to Camp Verde in mid-80s temperatures.